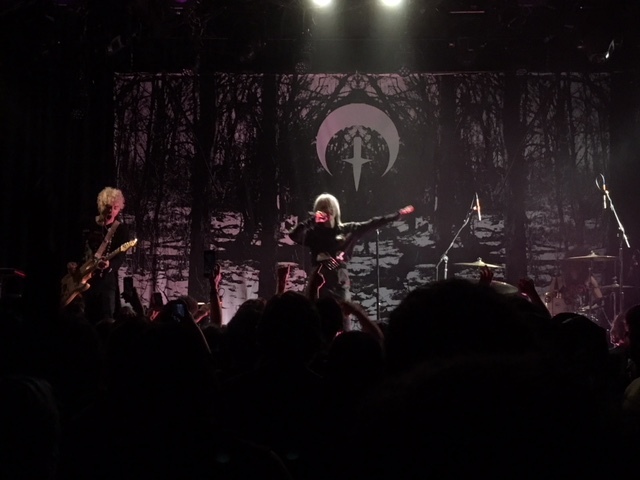 Two weekends ago wrapped up the San Francisco leg of the Snowblood tour, with Zola Jesus co-headlining Alice Glass' first ever North American solo headline tour that kicked off at Los Angeles’ Teragram Ballroom on April 26. 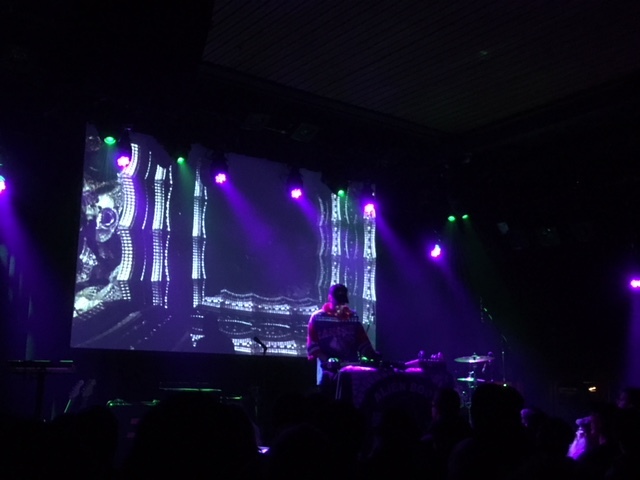 Pictureplane opened the San Francisco shows on both nights, with Saturday's all-ages gig taking place at Slim's. 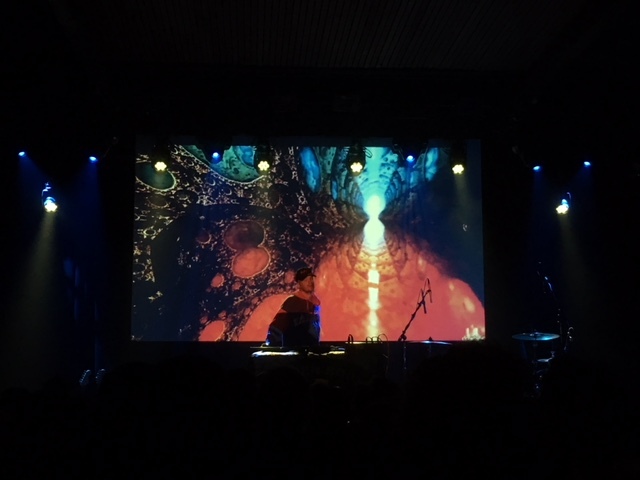 I arrived just in time to catch Pictureplane's opening set for the sold out show at the Independent on Sunday, April 29, the night of the full moon. 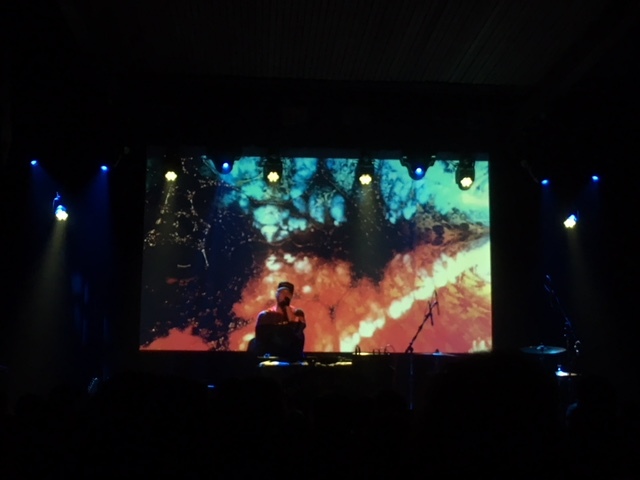 Pictureplane, the moniker of electronic musician Travis Egedy, performed solo against a backdrop of colorful abstract video projections. He seemed to be having some minor sound issues on his end, but everything sounded fine from the floor. 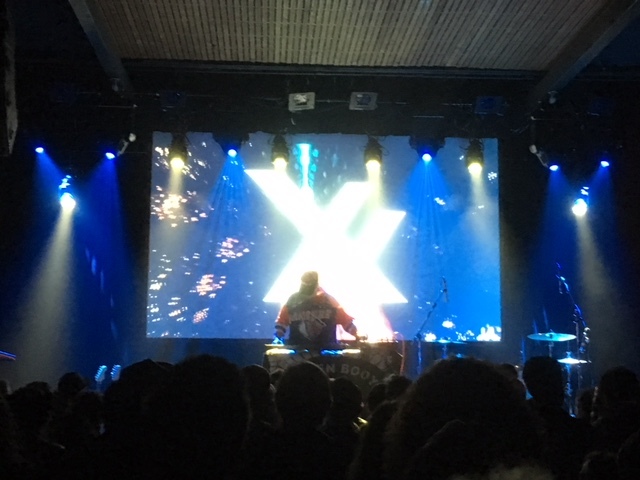 Pictureplane ended his opening set with "Post Physical," omitting "Real is a Feeling" in favor of more recent material. 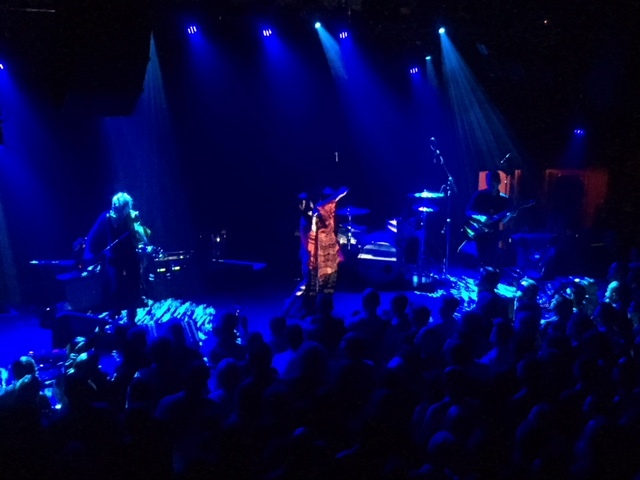 Zola Jesus (aka Nika Danilova) was joined on stage by longtime collaborator and multi-instrumentalist Alex DeGroot on guitar, and Louise Woodward on viola. 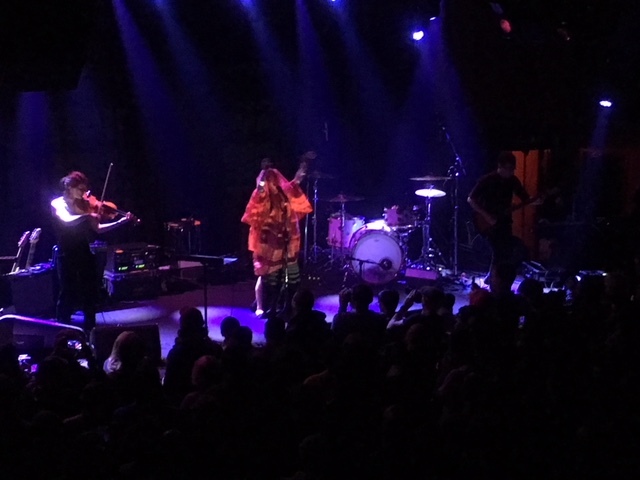 Focusing on material from 2017's Okovi and its follow-up Okovi: Additions (both out now on Sacred Bones Records), Zola Jesus opened her set with "Veka," setting the bar for a strong and memorable vocal performance throughout. 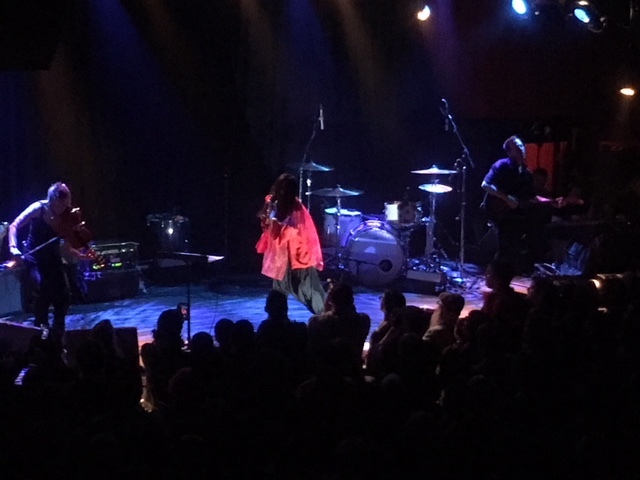 Zola Jesus mesmerized the crowd with minimal visual aids, relying on the Independent's precise lighting to set the mood and cast brooding shadows. 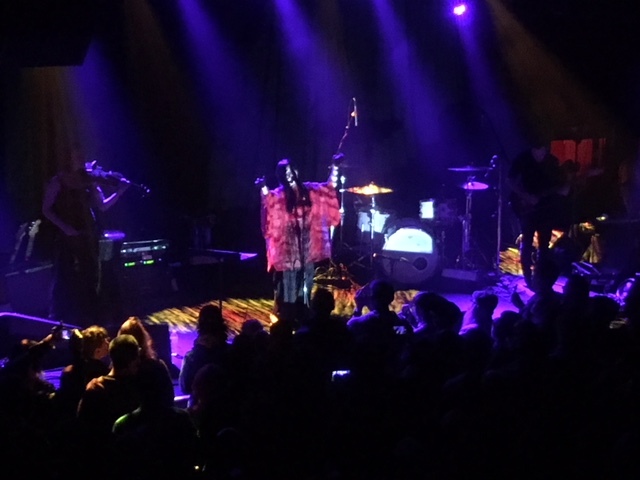 "I really love San Francisco except for the economic disparity, which is very obvious," she told the crowd in between songs. Zola Jesus' lyrics are often as heavy and deep as the tone of her music suggests, but also relay sentiments of hope and reconciliation. While introducing "Witness," she said the song is "about my uncle who attempted suicide twice a few years ago" at a time when she could only reach him by song. 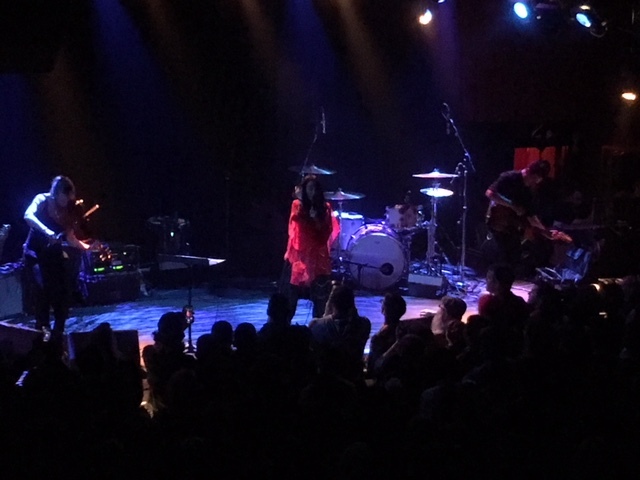 Zola Jesus went on to stun the crowd with more Okovi standouts including "Siphon" and "Wiseblood." 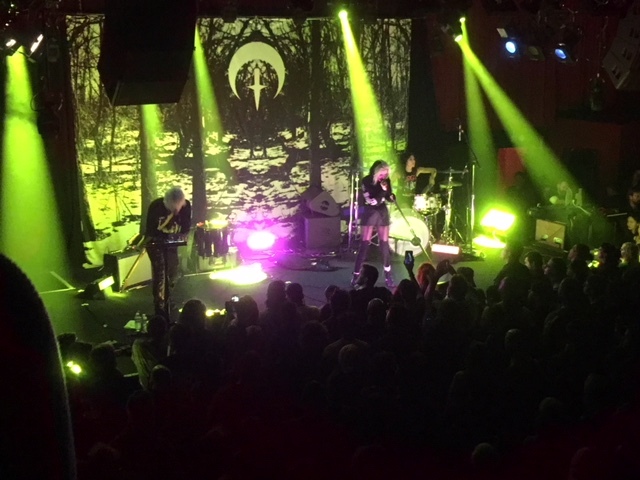 Given a generous set time to wow the crowd with her seasoned stage presence and impressive vocal abilities, Zola Jesus performed everything from her early breakout single "Night" from 2010's Stridulum, to her latest song "Bound" (listen via Adult Swim). "Ash to Bone" was recently given the remix treatment by Chromatics' Johnny Jewel (watch the video below). This is Alice Glass' first tour since severing ties with her Crystal Castles co-founder Ethan Kath. She was the first of multiple women who came forward with allegations of abuse agaisnt Kath, who responded with a defamation lawsuit that was subsequently dismissed. Alice Glass responed to the news via Twitter. Alice Glass launched her solo career shortly after leaving the band, and it's proven to be quite successful so far. Her eponymous solo EP and subsequent singles confront her horrific traumas, hoping to spread awareness. 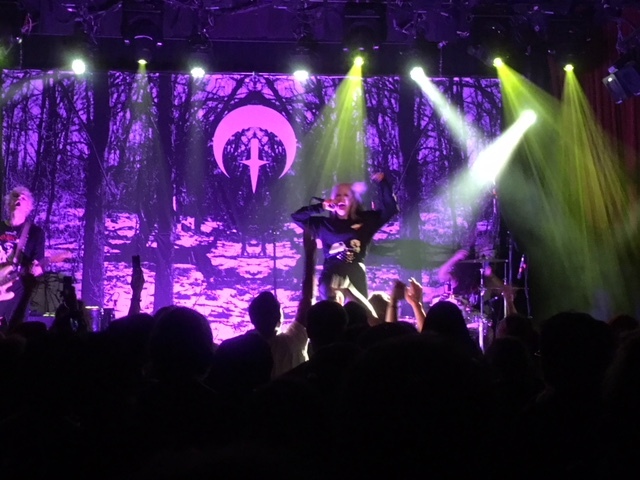 While Alice Glass (aka Margaret Osborn) mostly focused on her new solo material during the final performance of the evening, she also performed "Celestia" and a couple other Crystal Castles songs, having rightfully reclaimed them as her own. 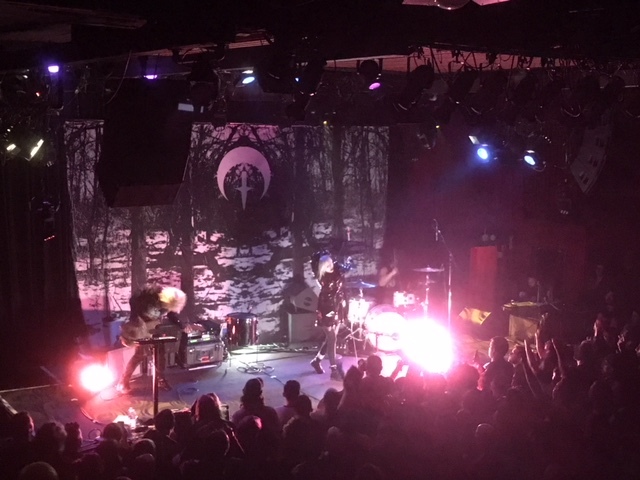 Alice Glass was the only act to feature live drums, with her drummer sporting a full kit. She was also joined by a multi-instrumentalist, switching back and forth between guitar and percussion on "Stillbirth." 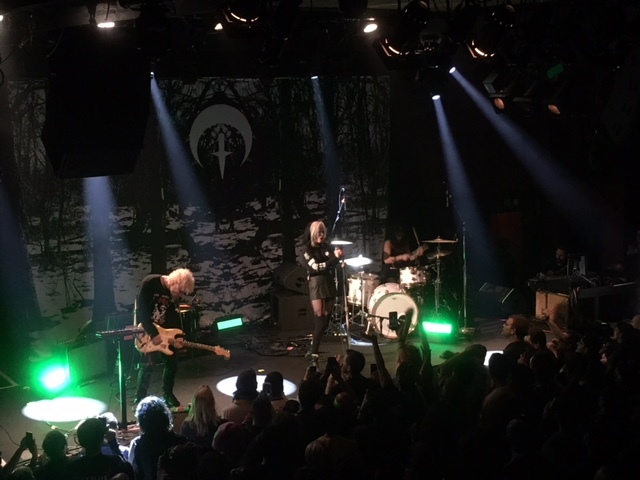 Alice Glass would sometimes squat on top of the bass drum to speak with her drummer or stand on top of it for dramatic effect. 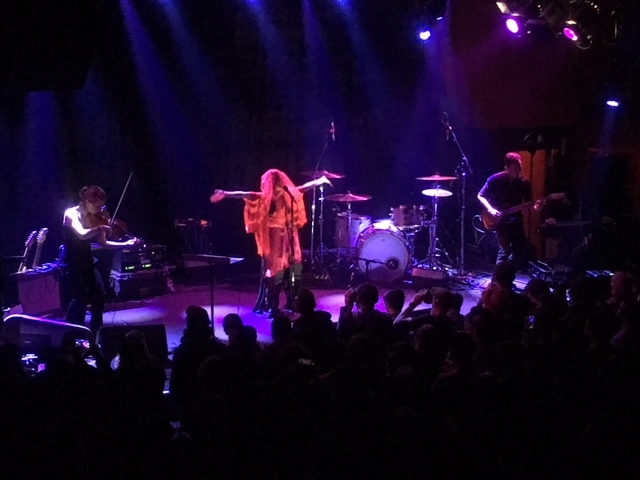 She jumped down into the crowd during her first song, performing her latest singles "Without Love," "Forgiveness," and "Cease and Desist" with no encore. These two powerful headlining solo artists complimented each other well, exacerbating the emotional energy of Sunday night's full moon in a raw and painful, yet ultimately healing, way. 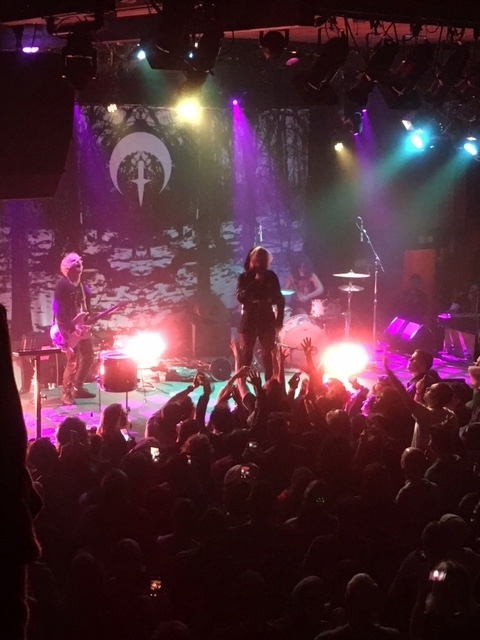 Alice Glass, Zola Jesus, and Pictureplane will continue the Snowblood tour through May 17, ending in New York City.